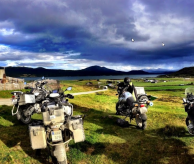 A five day motor trip with great variety! The journey starts on the nice mountain gravel roads from Hamar to the base camp in Hallingdal. From base camp we ride light (no panniers) and experience a hole day on gravel in the mountains. 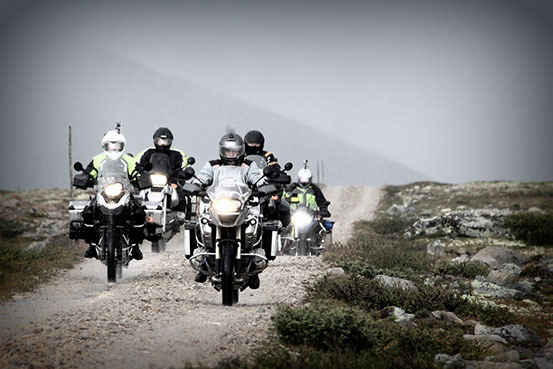 Day 3 and 4 we will ride over Hardangervidda to areas with fjords, glaciers and waterfalls. On one afternoons there will be arranged a small trip in the mountains around Gol. Whoever wants to relax in base camp or take a trip on their own can do this, but for those who follow the guide, there is an advantage with knobbies for rough surface. Price includes guiding, four nights in a double room with dinner and breakfast. Other meals can be purchased or taken with you. Toll roads are paid by the individual.